PhD, University of Oslo, Department of Archeology, Conservation and History, 2013. Cand. philol., University of Oslo, 1999 (history, Russian language, Russian and East European studies). Senior Research Fellow, Fridtjof Nansen Institute, since 2013. Lecturer in Russian history, The Norwegian Defence University College (FSES), since 2014. Visiting Scholar, Institute for European, Russian and Eurasian Studies, George Washington University, 2013-2014. 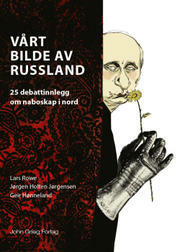 Senior Research Fellow, Norwegian Institute for Defence Studies 2012-13. Research Fellow, Fridtjof Nansen Institute, 2002-2012. Senior Executive officer at the Office of the Finnmark county Governor 2000-2002 (international environmental cooperation). Svalbard: Arctic Resource or Russian Target? Nordisk Østforum, Vol 30, No 2, 2016, pp. 80-97. In Norwegian. ABC Nyheter, 8.4.2019. In Norwegian.